This might be my shortest post yet because I ain’t mad about any binders since they are mostly natural and good for you. The only one I say to never use is margarine. It’s awful for you. Just don’t do. Unless you have a dairy allergen, just don’t use it. Your body can’t use it. It has no idea on what to do with it. It really is just a good substitution for people with dairy allergies. Outside of margarine, there are other butter substitutes. I personally love using mashed, ripe avocados or applesauce. They are low in cholesterol, saturated fats, calories, and high in any other form of nutritional value. Plus, when baking with avocados, the substitution is simple. It’s just one to one. For every tablespoon or cup you need of butter, just use the same amount when it comes to the mashed avocado. And since avocados have such a mild and neutral flavor, no one can tell that they’re in there. Other than the slight tint of green they tend to add to the dish (which looks cool in some cases), the avocados are barely noticeable. I also love using applesauce because it has such a bland flavor on it’s own. If you use unsweetened, unflavored applesauce, you can’t even tell it’s in there. It’s a good substitution. The second worse binder you can use are eggs, and it’s not even the entire egg. All of the bad stuff, like the cholesterol, is in the yolk. Luckily, eggs are the easiest things to separate. BUT, you can’t just use all egg whites in order to avoid the yolks in your baking. That’s not how it works. Baked goods benefit from both the whites and the yolks. Plus, if you think about it from a health standpoint, you are hardly consuming enough of the yolk when it’s baked into something. Like, if you use 3 eggs to make a two layer cake and you cut that into 8 slices, you are only eating .375 of an egg. That’s not even half an egg! So, go on and use those eggs, unless, again, you are allergic. But no worries! There are plenty of substitutes. 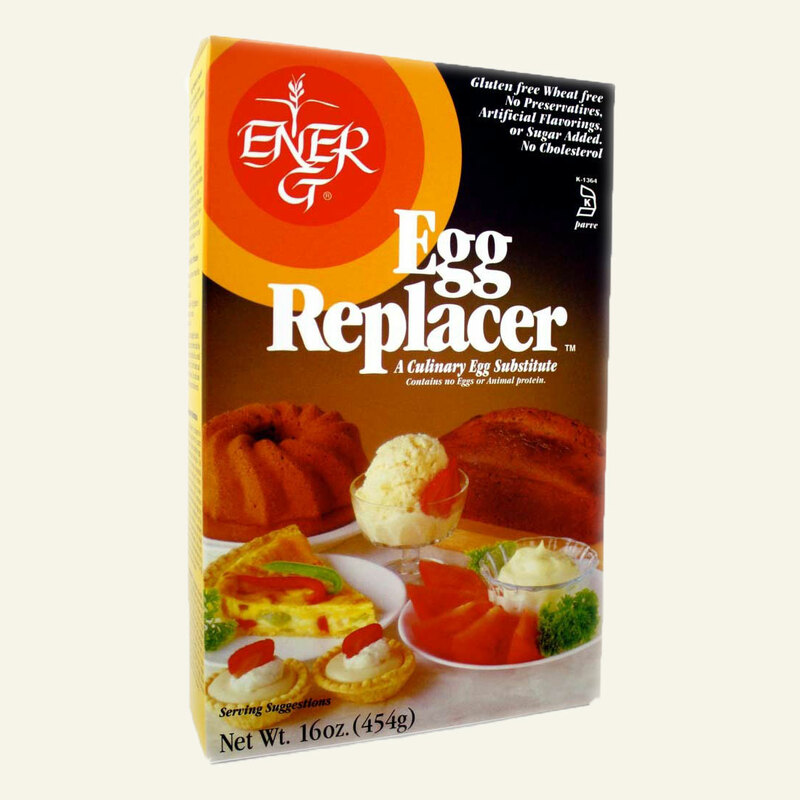 One of my favorite ones is a powdered egg substitute made by Ener-G Foods. It is everything free! Free of eggs, gluten, soy, and nuts. Practically anyone can bake with it. Picture Stolen From Ener-G Product Site. Other egg substitutes I love using are applesauce and bananas. Usually, the substitution ratio for the bananas are 1 to 1. For every egg you need, substitute it for one mashed banana. I’m not really fond of using bananas in baked goods though, especially in recipes that don’t call for bananas in the first place. For me, bananas have such a strong and distinct flavor that you almost instantly know it’s in there. But, if the dish only calls for one egg, I’ll use the banana because it’s not that much. If it calls for more, I’ll just use the egg substitute. Now, there are other binding substitutions out there, like pureed fruits or vegetables, or nut butters, but since I don’t personally use any of them, I can’t really write about them. It doesn’t make sense for me to. It would just be me looking up stuff on the internet and regurgitating it back, hoping that it’s true. I’m not about that life.